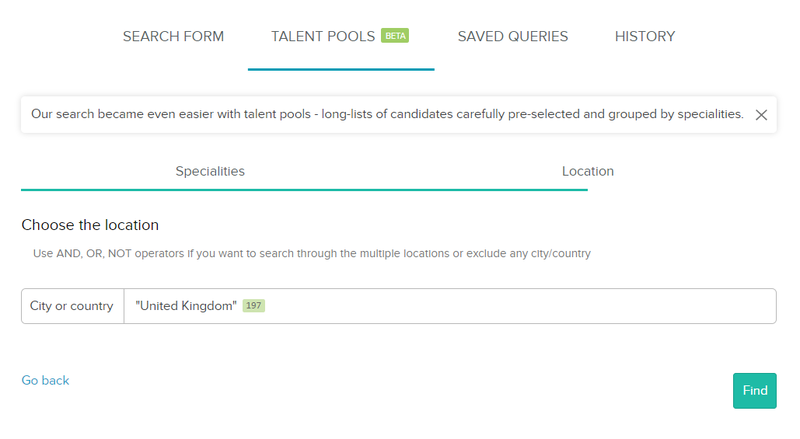 What are the Talent Pools and how to use them? 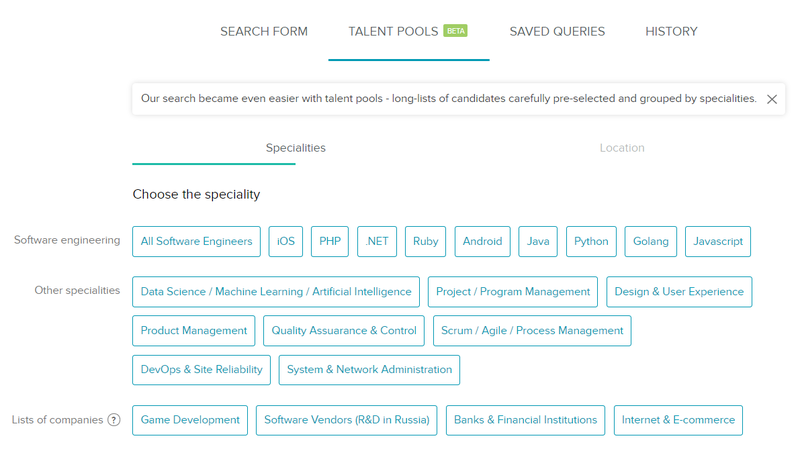 Talent Pools are the long-lists of candidates carefully pre-selected and grouped by specialities. This functionality allows you to search profiles in two clicks. To get the relevant search output you should choose a speciality from the list and indicate the location. You can narrow down the search output using filters or editing the search query.